A small group of tenth and eleventh grade students made a trip to the Lower School campus to work with Kim Parris’s third grade students today. 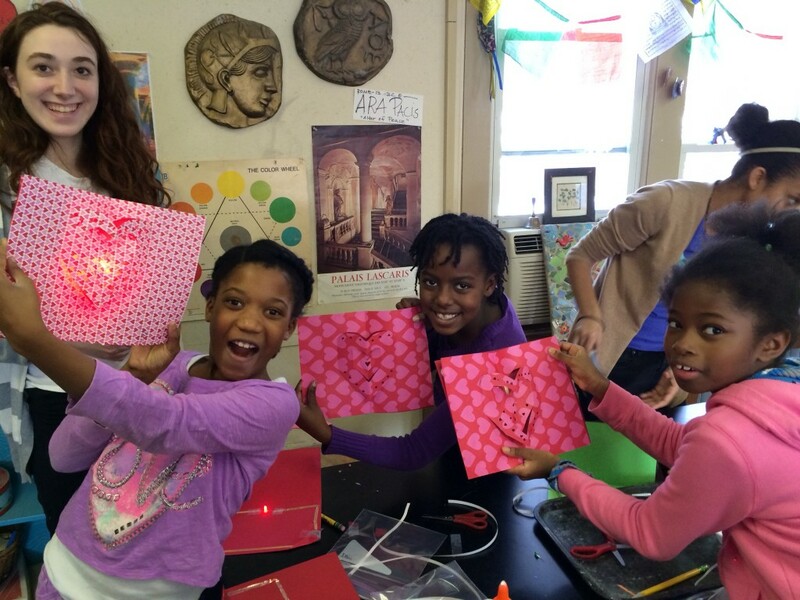 The theme of our day: light-up, pop-up Valentine’s Day cards. The STEAM teachers started brainstorming ideas with Ms. Parris before winter break. 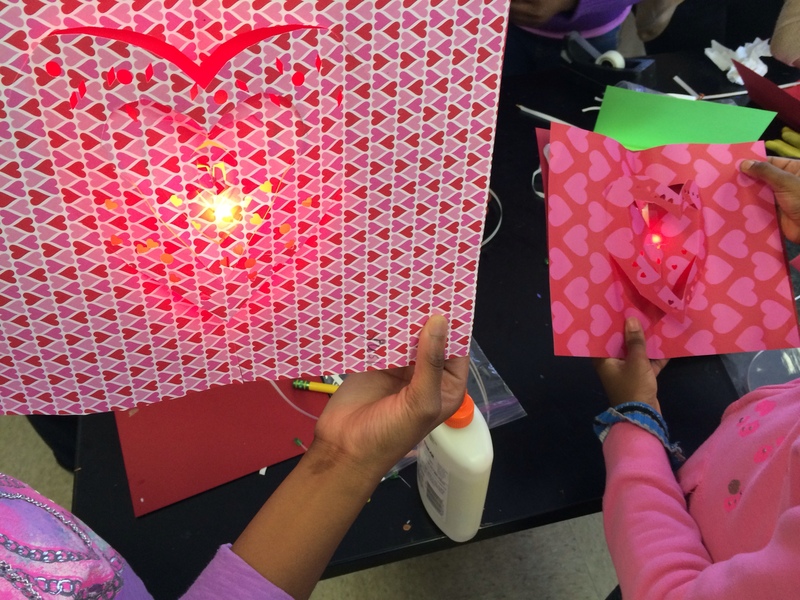 We were freshly inspired by Jie Qi‘s paper circuits from her time working with the MIT Media Lab’s High Low Tech group, and we had just successfully tried out light-up greeting cards with a group of adults in the fall. We agreed that Valentine’s Day presented the perfect opportunity to collaborate. Our planning picked up momentum when the Department of Making + Doing offered a Pop-Up LED event with Colette Fu at the beginning of February. 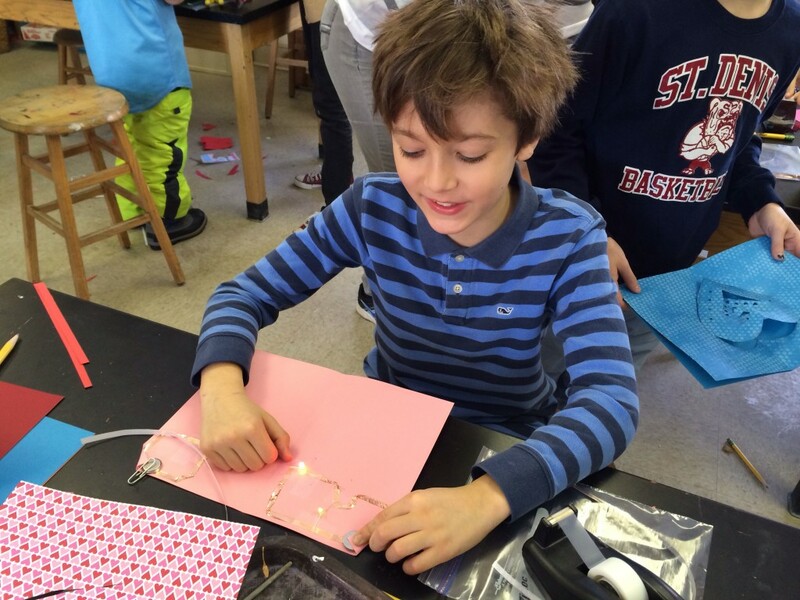 The third graders prepared the pop-up elements last week while the upper schoolers practiced building circuits with copper tape. Today, after a quick introduction to the supplies we were going to use (LEDs, coin cell batteries, copper tape), the students began guiding each other right away. The collaboration was seamless on both ends: all students were engaged and thrilled to work with each other. The upper schoolers were astounded by the ability of their lower schoolers, and the lower schoolers were pleased to work with and learn from their upper school counterparts. 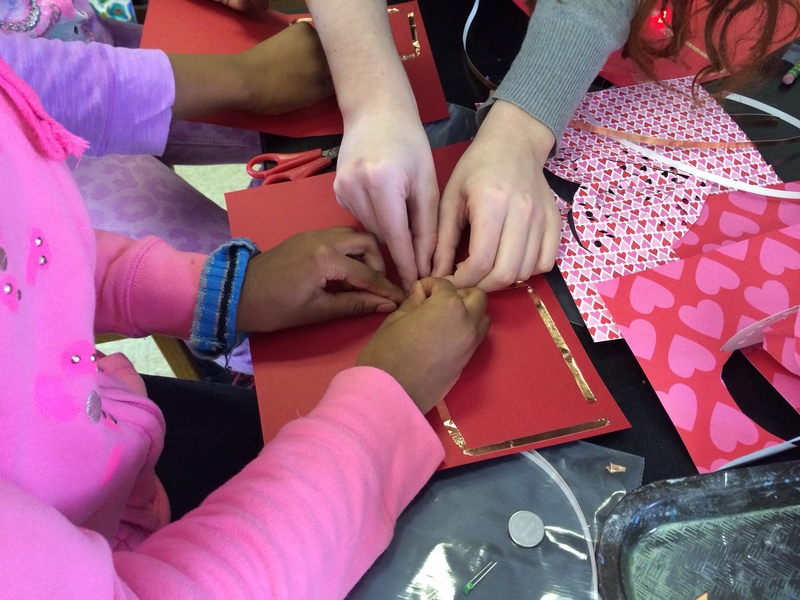 The joy of making connections was twofold today: connecting simple paper circuits and connecting with new friends!